Welcome and thank you for showing your interest in American Working Dogs, Inc. Our goal at AWD is to provide a forum for working dog enthusiasts to exchange ideas and opinions on training and utilization, and provide new information for you and your K-9. 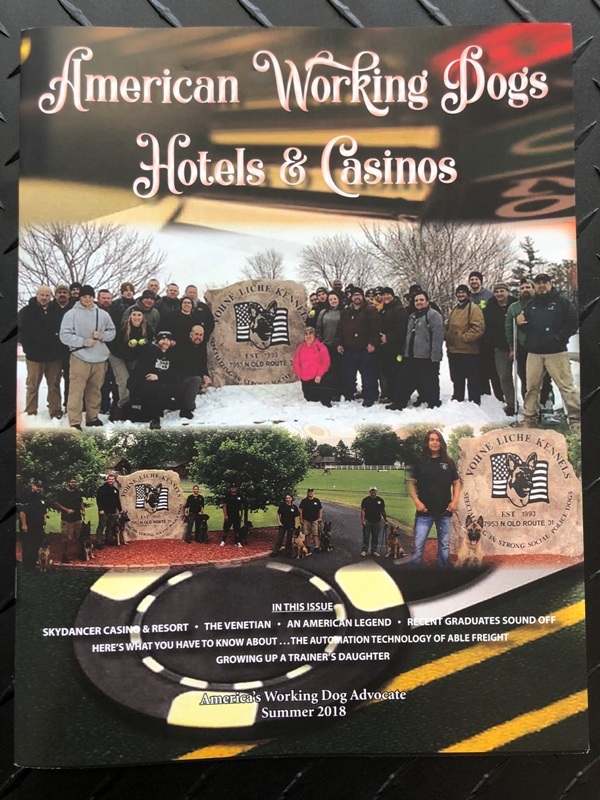 American Working Dogs, Inc. is available to assist with any seminar. We are more than happy to help you in any way with setting up a seminar. If you would like more information please email us at awdinc@vohneliche.com and we will send our “How To” package. American Working Dogs Certifications are always available during seminars. The AWD magazine that we publish is packed with exciting articles, updates and seminars available. We are always looking for articles of interest to our readers. If you have written such an article please feel free to email it to our office. The articles in our magazine are written by working dog enthusiasts for working dog enthusiasts. We would greatly appreciate input from all of our members, both positive and negative, on how we are doing. We are committed to making AWD a success with your help. If you have any questions or comments please feel free to contact us. Please include a payment of $10.00 and we will send a copy to you. REMEMBER: If you join you receive all issues free for 1 Year in addition to discounts on seminars. If you have questions or comments about American Working Dogs, please feel free to Contact Us by Email. Click here to download Application Form (Adobe PDF) that you can mail to us. Click here to find a certifying official of American Working Dogs, Inc. in your area.